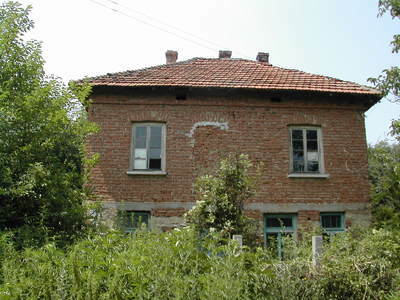 This spacious rural house located at the end of peaceful village, some 32 km away from the town of Vidin. The property spreads over 70 sq. m. of living area, distributed between two floors. Downstairs are situated an entrance hall with cement floor and two good-sized rooms, which can serve as kitchen with dining area and a living room. Outer staircase leads upstairs to three well-presented bedrooms with wooden floors, connected by a corridor with cement floor. The house is supplied with electricity and running water, there is a cellar. Offered in basic condition and not lived in the last years, it would need from an overall renovation and inner modernization, construction of an inner bathroom/wc and new furniture. The garden to the rural home is 1000 sq. m. in need of maintenance and landscaping, suitable for diverse agricultural activities, vine, fruit and vegetable growing. In immediate vicinity from the house in some 30m is located a nice river suitable for fishing. The region provides very good opportunities for permanent after-retirement living and peaceful holidays.